Winters are fun, but the bugs and colds that come with it, not so much!! Nobody likes getting sick, and coughing is one of those nagging troubles of the cold season that tends to overtake even the fittest person. 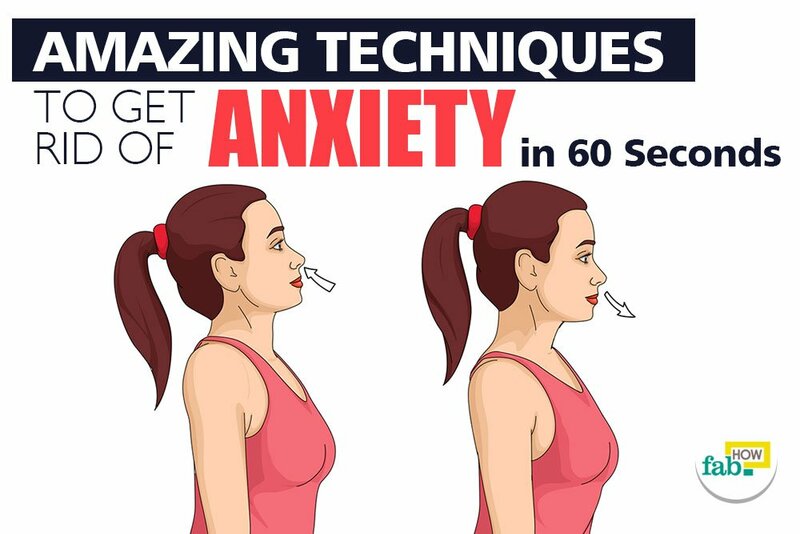 Tired of hacking up your lungs, you want to reach for that bottle of cough syrup or pop some pills. But hold on! These over-the-counter medicines and syrups may be quick acting, but they tend to weaken your body’s natural defense mechanism, the immune system. So, instead of chugging those not-so-friendly, viscous pink and green liquids, you can use home remedies and even your grandma’s cough syrup recipe. 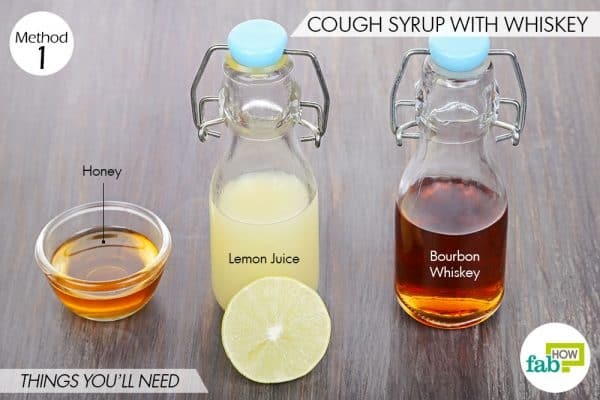 Natural, homemade cough syrup recipes have been passed on through generations and work surprisingly well, to be honest. Not only do they control the symptoms, but they also boost your body’s ability to fight off the infection on its own. The ingredients used are likely in your pantry and will help soothe your throat, reduce dry coughing and get rid of congestion as well. It’s important to rinse your mouth after consuming these syrups to avoid harsh implication on your teeth and to avoid thrush. 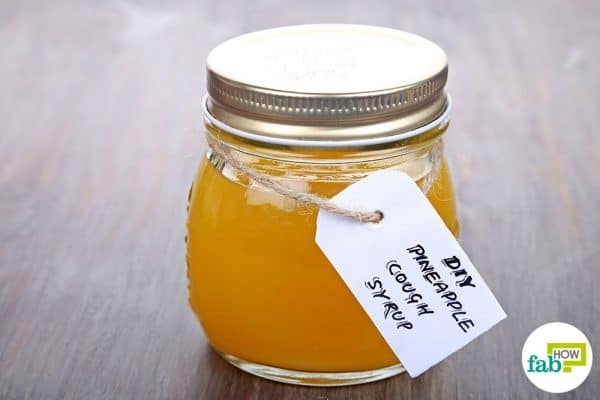 If you or your child have caught the cold bug and desperately need relief, here are the six best recipes for homemade cough syrups that you can make right now. Caution: Do not give these cough syrups to children below 1 year of age. 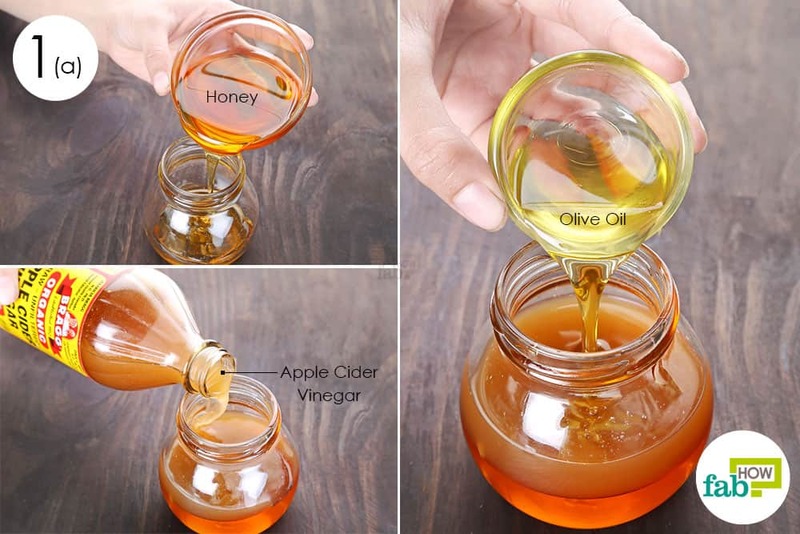 Most of them contain honey, which can lead to infant botulism. If a nasty cough is keeping you up all night, try making this comforting homemade cough syrup. It contains a blend of honey, lemon, and whiskey. The lemon will give you a vitamin C boost to fight off the infection, (1) the honey is antibacterial and will soothe your irritated throat, (2) and the whiskey will send you into a warm and comfortable sleep. 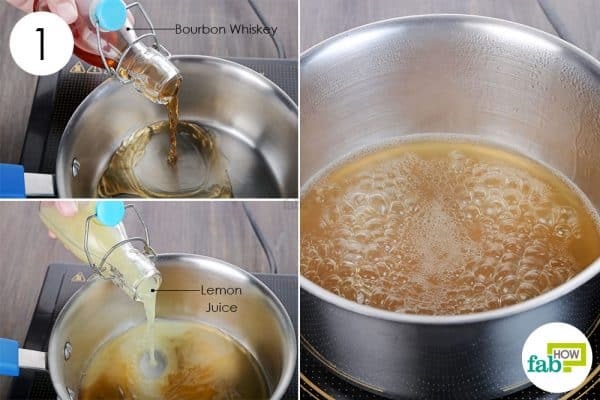 Pour 2 tablespoons of bourbon whiskey into a saucepan. Bring it to a boil, then remove the pan from the heat. Allow the liquid to cool down to room temperature. Transfer the whiskey and lemon blend to a glass jar with a lid. 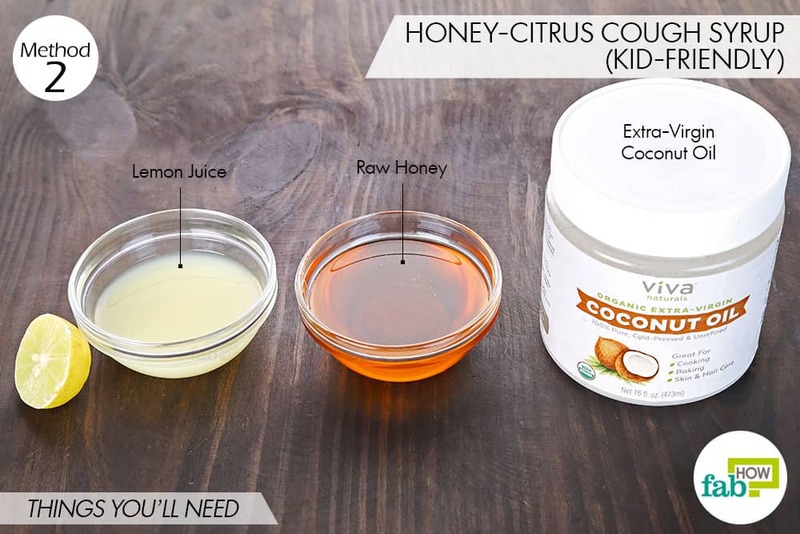 Consume 2 tablespoons of this blend at bedtime to enjoy a cough-free sleep. The cough should be gone by the next day. Repeat consumption if needed. The shelf life of the cough syrup is 1 to 2 weeks when stored in a cool place. Kids, particularly under 6 years of age, are more prone to catching a cold because their immune systems aren’t strong enough to ward it off. If you have kids at home, this homemade cough syrup is good to have on hand. It is also beneficial for an allergen-induced cough. Coconut oil is another effective antimicrobial and will improve the body’s white blood cell count to fight off the infection naturally. Caution: Do not give this syrup to children below 1 year of age, as honey can lead to infant botulism. Pour 2 tablespoons of extra-virgin coconut oil into a jar. Add 4 tablespoons of fresh lemon juice. Add ⅓ cup of raw honey. Using a hand blender, whisk up the ingredients. Give your child 1 teaspoon of this blend 2 or 3 times daily to treat their cold and cough. For adults, take 1 tablespoon twice daily until the cough is gone. You can store this DIY cough syrup at room temperature for 1 week. If you wish to keep it longer, you can store it in the refrigerator for 3 to 4 weeks. Just warm it up a little before use. The panacea for all ills, apple cider vinegar, can also be concocted into a cough syrup for adults. 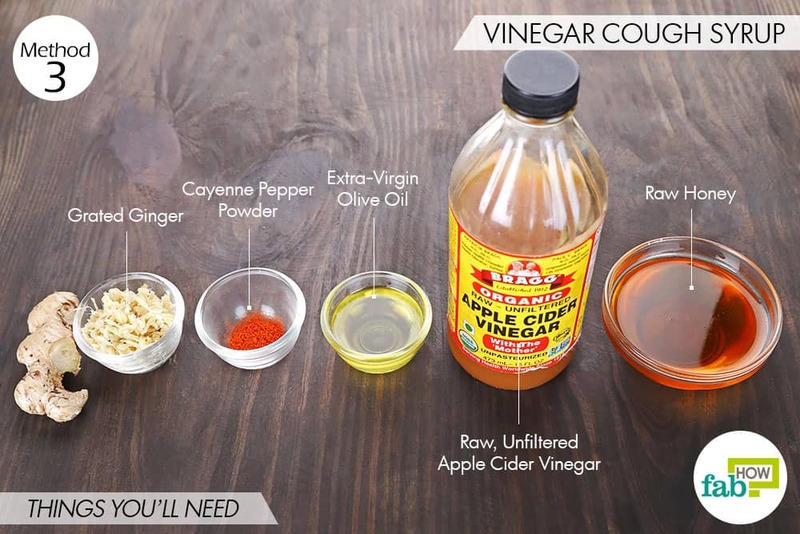 Raw, unfiltered apple cider vinegar contains enzymes that are antimicrobial and will help clear up the infection. It will also help break up the mucus. 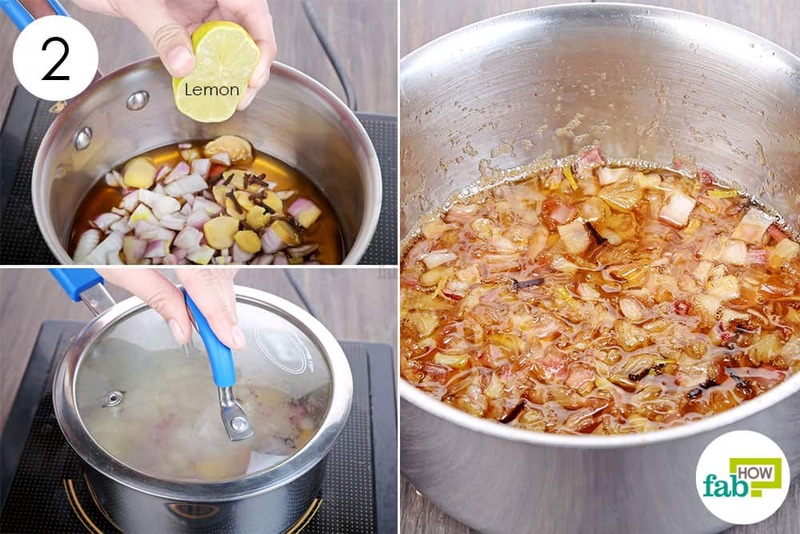 This recipe also uses ginger, which will work as a natural expectorant to expel the mucus. (3) Cayenne pepper will help reduce throat pain, while the honey and olive oil will soothe the irritated throat. 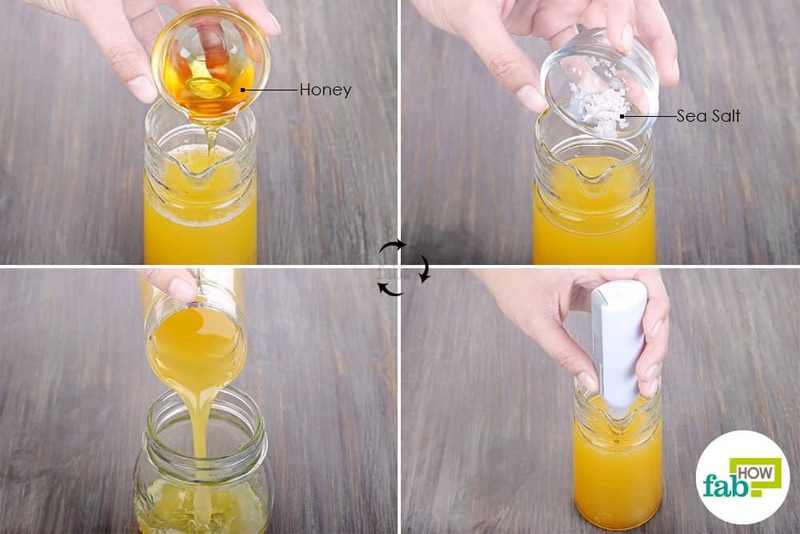 Pour 6 tablespoons of raw honey into a glass jar. Add a ⅛ teaspoon of cayenne pepper powder. Add 1 tablespoon of grated ginger. Put the lid on the jar and let the mixture sit for 8 hours. 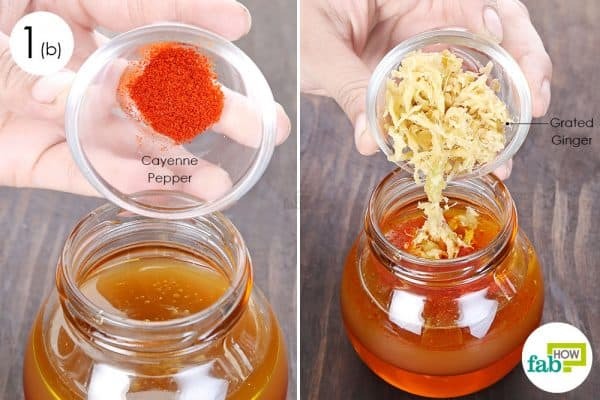 Strain the infused liquid and store it in the refrigerator. For use, simply warm up the liquid a little or bring it to room temperature before consuming it. 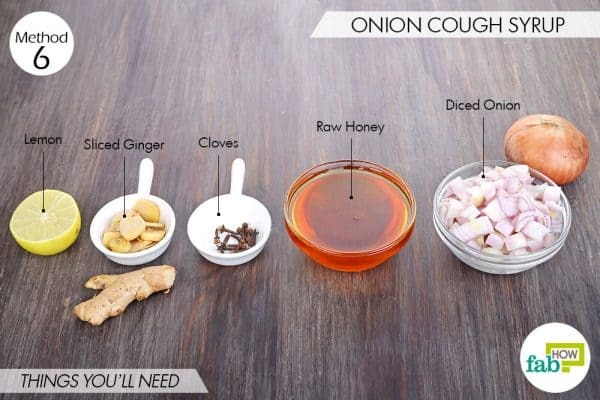 Take 1 teaspoon 2 or 3 times daily until your cough is cured. The shelf life of this cough syrup is 4 to 6 weeks when stored in the refrigerator at all times. 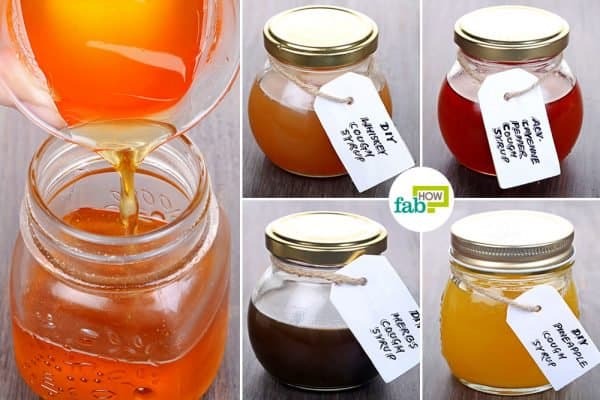 Honey acts as an antimicrobial to kill the infection and an anti-inflammatory to soothe the throat. Pour ¼ cup of water into a saucepan. Add 1 teaspoon each of black pepper powder, grated ginger, and thyme. Mix well and bring the ingredients to a boil over high heat. Let it simmer on low for 5 to 10 minutes. Strain the infused water into a cup and let it cool down a bit. 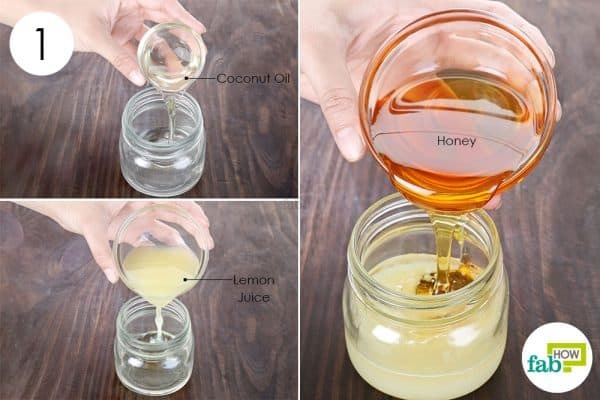 Add 4 tablespoons of honey. Whisk the ingredients thoroughly with a hand blender. 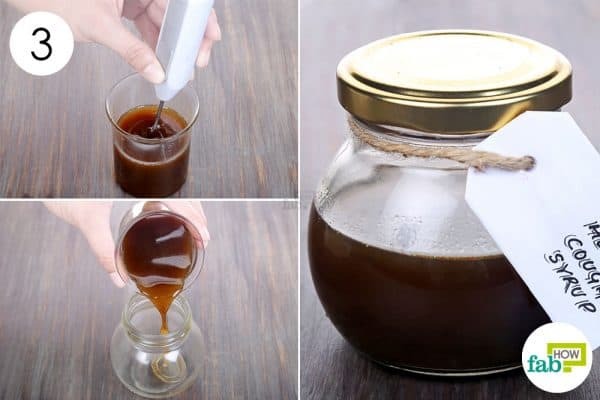 Transfer the homemade cough syrup to an airtight glass jar and store it in a cool and dry place. 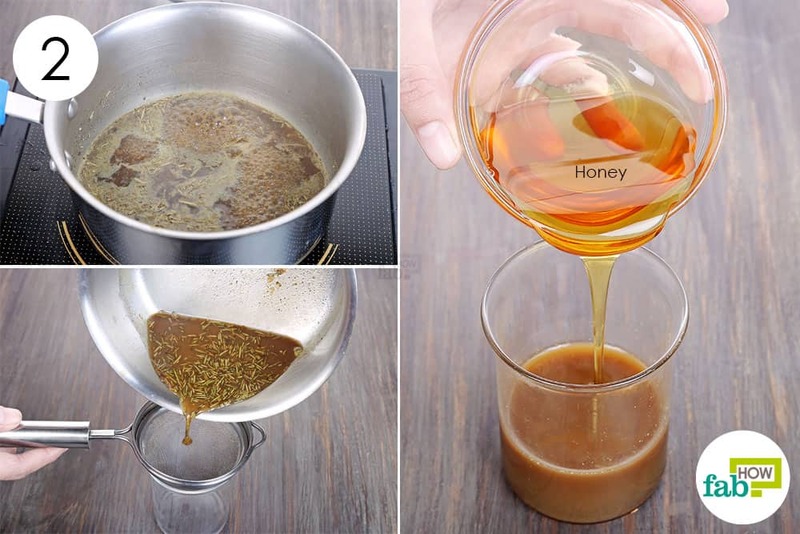 Consume 1 teaspoon of this syrup 2 or 3 times daily to cure your cough. 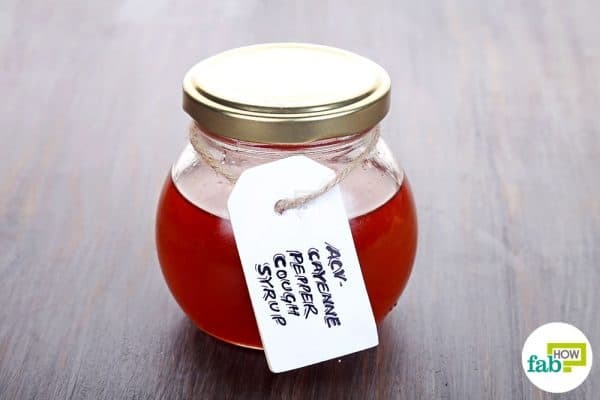 The shelf life of this DIY cough syrup is 2 to 3 weeks. Over-the-counter cough syrups taste yucky and contain unnecessary synthetic ingredients. 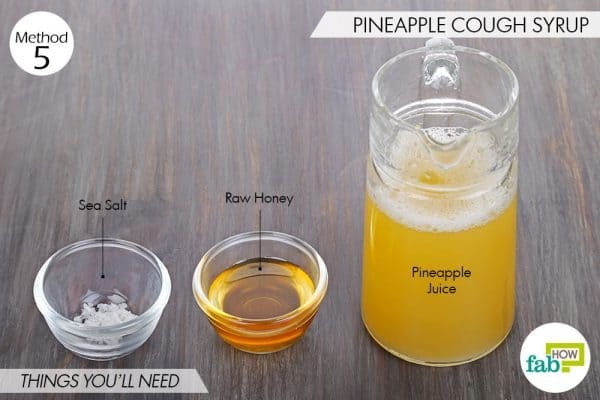 This pineapple cough syrup can be a tasty alternative to banish a cough. They are also rich in vitamin C that helps fight the infection. 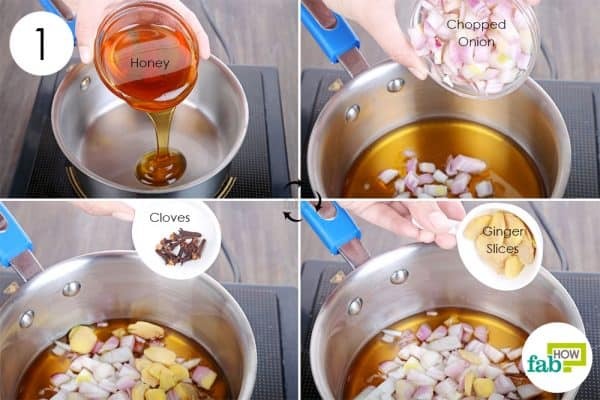 (1) You can add some sea salt that will work as an antiseptic and honey that will also help fight off the infection. Pour 1 tablespoon of honey into 1 cup of fresh pineapple juice. Add a ⅛ teaspoon of sea salt. Use a motorized blender to blend all the ingredients. Transfer the syrup to an airtight jar and store it in the refrigerator. When needed, take it out of the fridge and let it sit for a couple of minutes to reach room temperature. Consume 2 to 3 teaspoons throughout the day to suppress coughing and get rid of the infection. 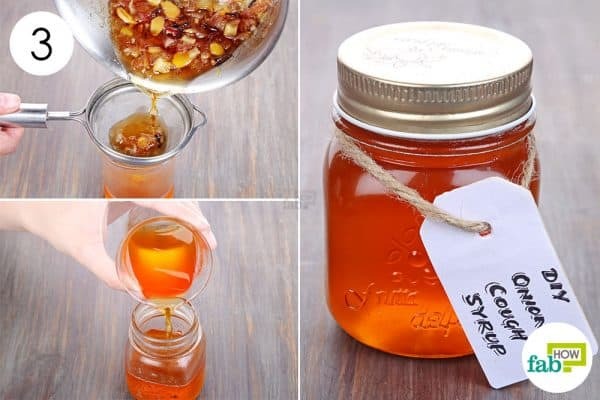 The shelf life of this homemade syrup is 1 to 2 weeks. This onion cough syrup also uses cloves that are natural pain relievers and ginger to expectorate the mucus. 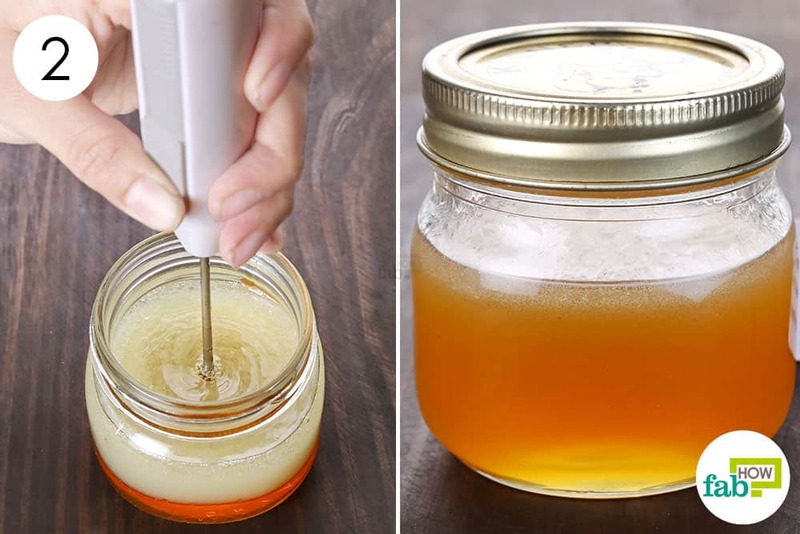 Honey imparts a sweet flavor and coats the throat to soothe irritation. Lemon boosts overall immunity to ward off infections. Pour ⅔ cup of raw organic honey into a saucepan. Add 1 large diced onion. Add the slices of the 1-inch ginger piece as well as the 10 cloves. Squeeze in the juice of ½ of a lemon. Put a lid on the pan and let the ingredients simmer for 20 minutes on low heat. Once done, remove the pan from the heat and allow the syrup to cool down a bit. 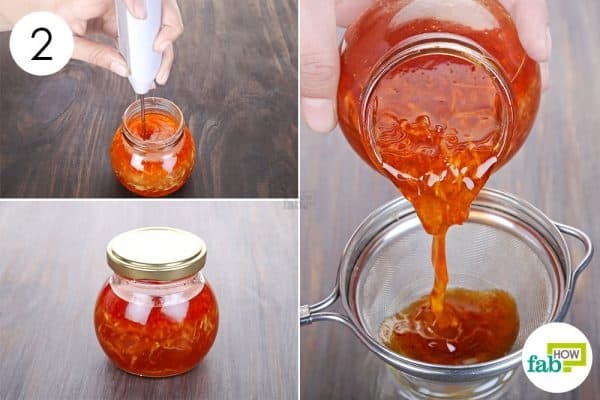 Strain the infused liquid into a jar and let it cool off completely. Store the syrup in the refrigerator for up to 1 month. Use organic and unprocessed ingredients only to make the cough syrup more effective. While the approximate shelf life of each recipe is provided, use your discretion to check the syrup. If it smells off, discard it and prepare a fresh batch. 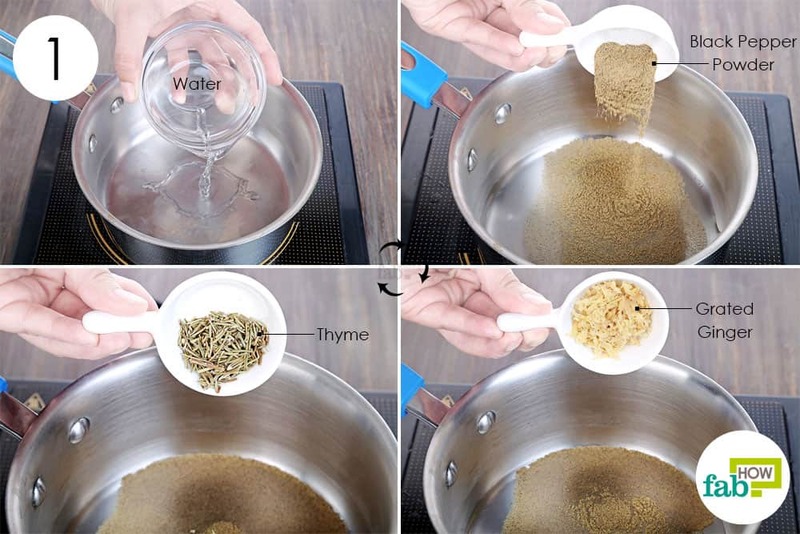 You can also improvise the quantities of the ingredients to suit your needs. 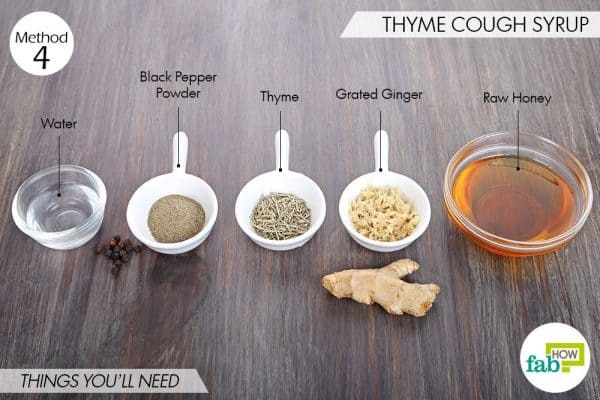 You can also try some other remedies to treat a cough. Bucher A, White N. Vitamin C in the Prevention and Treatment of the Common Cold. American journal of lifestyle medicine. https://www.ncbi.nlm.nih.gov/pmc/articles/PMC6124957/. Published February 9, 2016. Oduwole O, Udoh EE, Oyo-Ita A, Meremikwu MM. 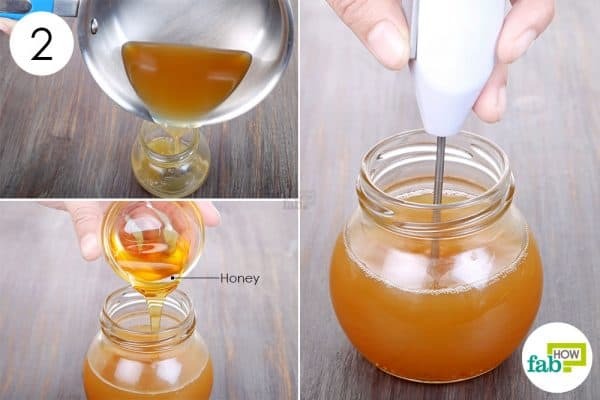 Honey for acute cough in children. The Cochrane database of systematic reviews. https://www.ncbi.nlm.nih.gov/pubmed/29633783. Published April 10, 2018. Hai-Long Z, Shimin C, Yalan L. Some Chinese folk prescriptions for wind-cold type common cold. Journal of traditional and complementary medicine. https://www.ncbi.nlm.nih.gov/pmc/articles/PMC4488566/. Published February 10, 2015. Raal A, Volmer D, Sõukand R, Hratkevitš S, Kalle R. Complementary treatment of the common cold and flu with medicinal plants--results from two samples of pharmacy customers in Estonia. PloS one. https://www.ncbi.nlm.nih.gov/pmc/articles/PMC3590151/. Published 2013. D'Souza SP, Chavannavar SV, Kanchanashri B, Niveditha SB. Pharmaceutical Perspectives of Spices and Condiments as Alternative Antimicrobial Remedy. Journal of evidence-based complementary & alternative medicine. https://www.ncbi.nlm.nih.gov/pmc/articles/PMC5871277/. Published October 2017. Peixoto DM, Rizzo JA, Schor D, et al. 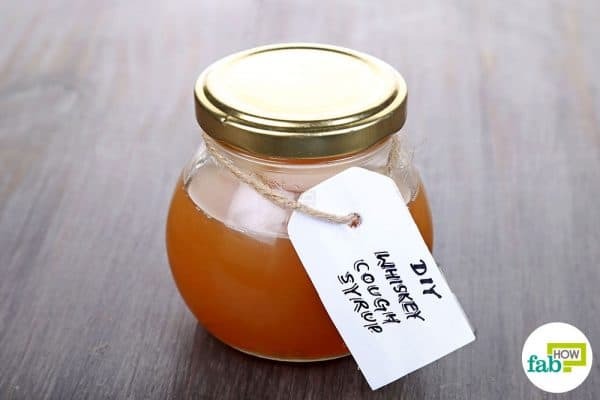 Use of honey associated with Ananas comosus (Bromelin) in the treatment of acute irritative cough. Revista Paulista de Pediatria: Orgao Oficial da Sociedade de Pediatria de Sao Paulo. https://www.ncbi.nlm.nih.gov/pmc/articles/PMC5176060/. Published 2016. Mahima, Rahal A, et al. Immunomodulatory and Therapeutic Potentials of Herbal, Traditional/Indigenous, and Ethnoveterinary Medicines. Science Alert. https://scialert.net/fulltext/?doi=pjbs.2012.754.774. Published 2013.